I have always been a huge supporter of Remind. It is a fantastic group of people that are on fire to help teachers and students learn and communicate better. I am honored to be on their Teacher Advisory Board and work directly with members of the Remind team and the rest of the TAB to help make Remind even better. Since I don’t have a “class” of students any longer (teachers and administrators, etc. are my students) I wanted to think of a way to use Remind to connect better with workshop attendees before and especially after a conference where I’m speaking such as a Google Summit. It’s also a great way to extend my joy of sharing. To give this a go I created a Remind class called Kyle’s GAFE Tips & Resources. 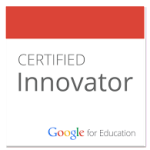 GAFE = Google Apps for Education. 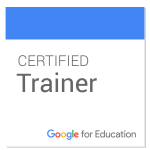 If you know me, you know that I’m a Google Certified Teacher and also a huge supporter of the Google in Education team. So I’m giving this a go as a way to connect with educators before, during, and after a conference I speak at. If you’d like to join my Google Apps Tips & Resources class on Remind simply text @kylep and send it to 81010 from your phone. Any news, tips, and tricks I share there will go straight to your phone. If you’d like to use the Remind app to receive these you can do that as well. Using the Remind app also allows you to respond with stamps to any message I send out. This adds a nice level of interactivity when you’re using Remind with students, parents, or workshop attendees. I am also able to send a voice message to the group via the Remind app. I think Remind is going to be great for me as a presenter as a way to engage an audience, especially after the fact so I have a place to reach out and share to those specific people who choose to join. If you don’t have a Remind account you can click here to create one so you can begin using it with key stakeholders in your school! Again, if you’d like to join my Remind class to get resources related specifically to Google Apps for Education, simply send a text to 81010 with @kylep as the message. I look forward to new connections and learning in this space. This is a great use of @RemindHQ, Kyle! I love that you are finding a new way to use such an awesome tool. Thanks for sharing! I’m wondering if there is a way to use some type of mail merge with Remind. 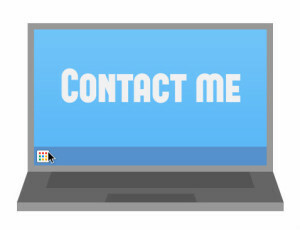 For example, create a student progress report that uses a mail merge to send a text instead of an email.